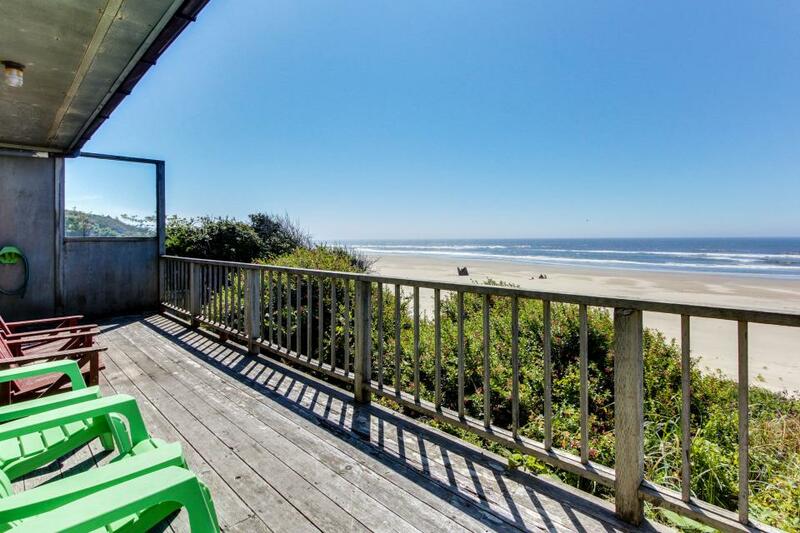 One of our most popular two bedroom units, this cottage is located right on the bank of the Pacific Ocean and has a gorgeous view from the massive picture windows. This unit is carpeted with a full kitchen and bath with tub, wood stove, a queen bed, double bed and futon in the living room. This room also has a large private deck and is a short walk to the beach.